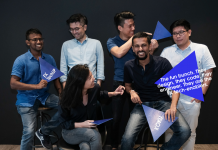 22/11/2018 – LokaLocal, a Malaysian travel tech startup that connects travelers with local experts and experiences, has secured an undisclosed funding from South Korean venture capital firm BonAngels Venture Partner. With this investment, LokaLocal becomes BonAngels’ first Malaysian portfolio company, in line with their vision to expand the growth of promising startups in Southeast Asia. 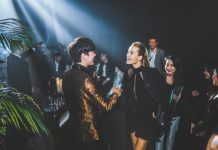 The venture capital firm had so far invested in about 140 companies in Korea, Japan, the US, and currently focuses their investment on startups in Southeast Asia, including Vietnam, Thailand, Indonesia, and Malaysia. Founded in 2016, LokaLocal is the largest experience-based platform in Malaysia. The startup works alongside cultural space owners and event organizers, in addition to promoting Malaysia’s vibrant culture and art scene through digital opportunities. This investment will accelerate LokaLocal’s growth through its ongoing development to becoming a one-stop integrated tech solution, acquisition of meaningful products and regional expansion. The startup also aims to cover 50 cities, towns, and villages within the next year. Currently, it connects travelers to more than 800 unique tours and workshops, while delivering economic and social impact to 700 local hosts. In 2017, the company was awarded the Best Social Impact Award by the Mekong Innovative Startups in Tourism (MIST). 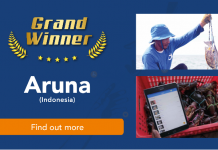 It also reached the Top 25 at the K-Startup Grand Challenge (KSGC 2017). LokaLocal has since worked with tourism arms of Selangor and Perak state government to unveil new experiences as part of the national initiative under Visit Malaysia 2020. Its website is expected to release its new design by early 2019.